We are excited to announce the newly renovated John R Engel Undergraduate Student Lounge. Located in PAS 268, the lounge is the place to be for all Physics undergraduates looking to study, relax, work in-between classes, or just socialize with their fellow majors. Stop on by and take in the new atmosphere! 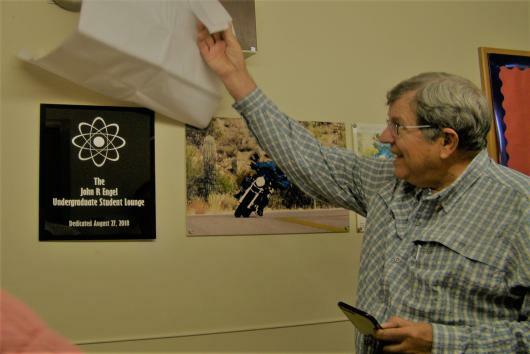 We would also like to once again thank John Engel for his continued support of the physics department. This would not have been possible without your help.